Green Ice Welcomes Cristian Javier Simari Birkner to the Team! Green Ice Wax introduces Cristian Javier Simari Birkner to the Green Ice Wax team. Cristian is the top ski racer from Argentina and is representing his country in the World Championships in Beaver Creak, Colorado. Cristian is using GI 2000 on his skis at the races and has found it to be fast and effective. 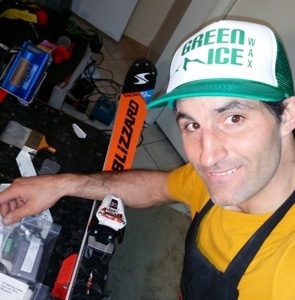 Cristian will also help GI introduce the wax to other racers in the World Cup. Welcome Cristian to the GI Wax team!